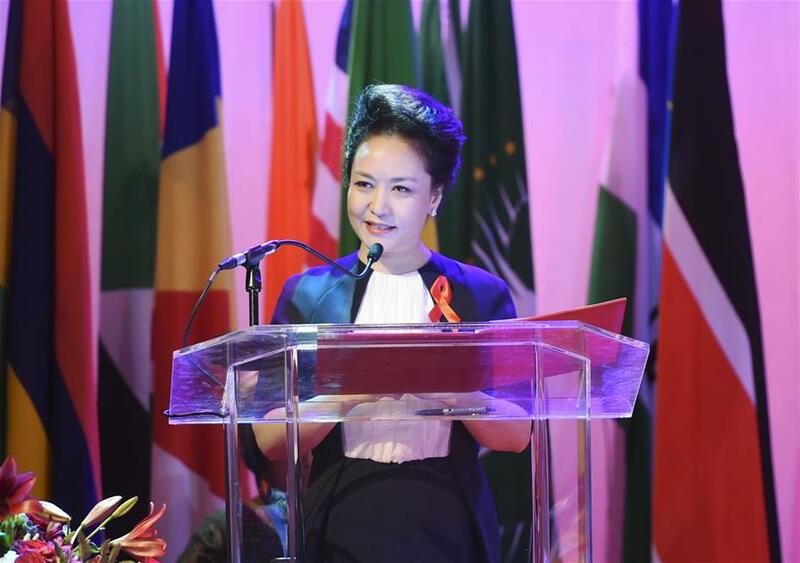 JOHANNESBURG, Dec. 5 -- Peng Liyuan, wife of Chinese President Xi Jinping, attended an anti-AIDS advocacy activity here on Saturday, pledging to support Africa's medical and health programs. Peng was here accompanying President Xi for the Johannesburg Summit of the Forum on China-Africa Cooperation. China will consistently support the African countries in fighting AIDS, support the World Health Organization (WHO) and the UN Program on HIV and AIDS (UNAIDS) on AIDS prevention and control in Africa, and support Africa's programs on medical infrastructure as well as women's and children's healthcare, said Peng. Peng made the remarks while addressing the activity of Africa-China Partnership: Caring for an HIV-free Generation, which was joined by First Ladies from 10 African countries, Executive Director of UNAIDS Michel Sidibe and Director-General of WHO Margaret Chan. Peng proposed that work should be done to provide care for AIDS patients and get more patients treated, to launch extensive publicity and eduction by means of media platform, to promote children's awareness of AIDS prevention through education, and to raise the level of public health through economic development. Peng is also the WHO Goodwill Ambassador for Tuberculosis and HIV/AIDS. Chinese first lady calls for more cultural, people-to-people exchanges with U.S.